Perfect, just perfect. And true. You have always been wise beyond your years! I will enjoy blowing up Instagram today with pictures from your wedding day! Spectacular sunset like the heavens were celebrating the two of you. The best is yet to come. Awesome comment from a loving Momma. They are a beautiful couple! Thanks! My heart is singing with joy! I am one lucky Momma! Happy Anniversary! I never knew that you met your husband back when you were in the seventh grade. Wow! I love this post, marriage truly is a whole lot of ups and downs. Enjoy celebrating today! PS- I just love how your mom comments on your posts. What a great momma! perfect post and you totally nailed it. marriage (relationships in general) are always a WIP. you live, you learn, you keep going. I love the monthly snapshots! And I absolutely agree that movies and media in general portray marriage in an unrealistic light. Glad you're both still in the car! 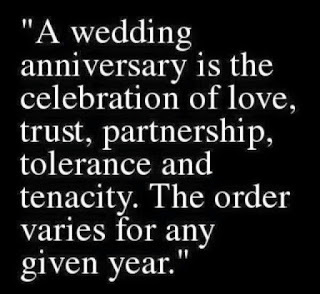 And love the analogy - happy anniversary!!! Thank you for being honest about real relationships! I am eternally frustrated by the fairytale story we perpetuate. I may not be married, but as another person who's been with her partner for 15 years and friends with him since high school, what you've said could not be more true. Wow! Well, first, Happy Anniversary to you and MFD. Wishing you many, many more years of road trippin'. And second... I may have learned a thing or two from this post. Thank you for the wisdom that we probably all needed. I really believe that if more people were forewarned about the work involved in a relationship they would choose their mate much more carefully. It is hard work, every day hard work. Great blog post Steph! I couldn't agree more. Happy Anniversary to you and MFD!! Happy anniversary! I love the metaphor of marriage as a road trip. So on point. I hope the wild west is treating you well today and you make it home safe with millions more memories to add to your journey together! Here is to many more good years. Happy Anniversary! 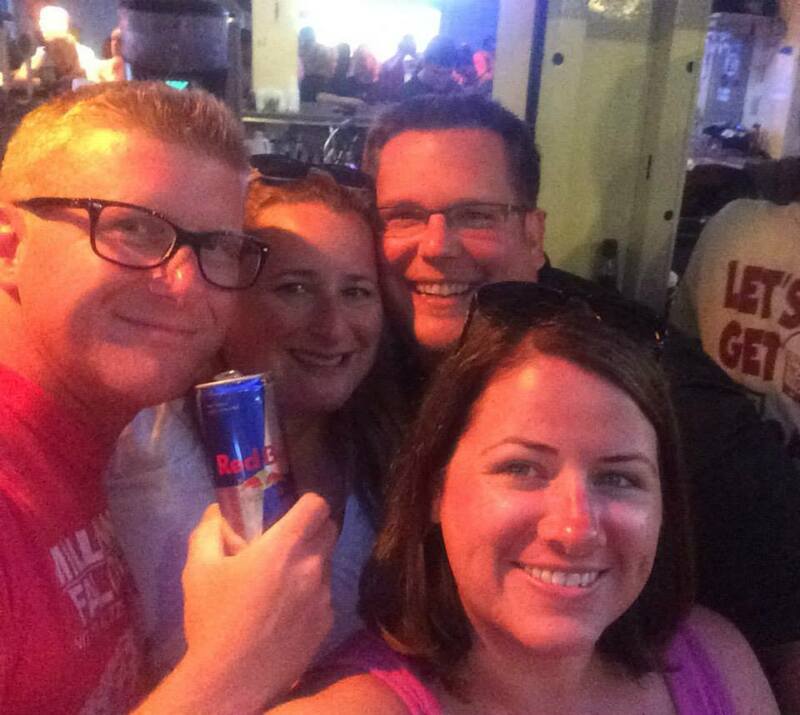 Glad you are having a great time on your road trip! Happy Anniversary!!! Hope you are having a wonderful road trip!! Happy anniversary to a wonderful couple who I admire so much. You guys are great. Keep it up!! this is quite possibly the best anniversary post i have ever read! love it all. happy anniversary! happy anniversary to you both, love you guys! Congrats you guys! That quote on marriage, so true. It is the loooongest test/trial of our lives. As hard as parenting is, sometimes, marriage is harder because you're dealing with someone who's got behaviors/beliefs/thoughts that are engrained. At least with kids, you can help mold them ;). Anyways, congrats again! Happy anniversary and congrats and reaching this far! I love your analogy for marriage and how you explain the road trip...I hope your road trips continues for many many more fulfilling years. Yes!! That analogy is fantastic. One of the pieces of advice I give people about marriage is road tripping. Spending lots of one on one time seeing new places and just being together. I can't wait to hear all about your trip! This is an amazing anniversary post, and I love how truthful and honest you are about your marriage and the road trip you're on. I love that analogy, by the way. 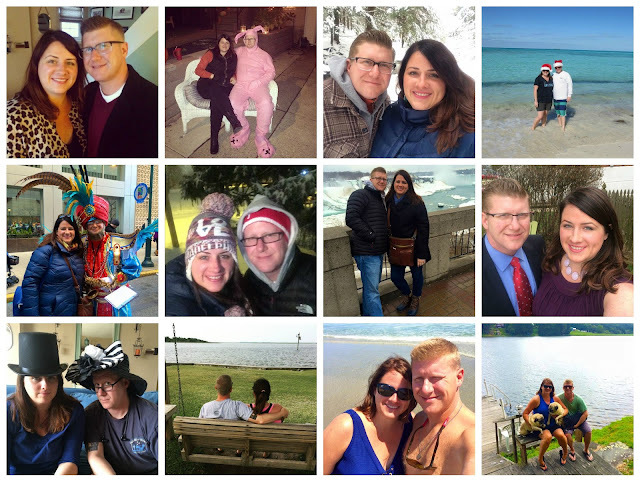 Cheers to you and MFD today and may you have many more anniversaries to celebrate together! This made me well up. I don't have much else to say besides CONGRATULATIONS and thank you for this post, perfectly stated. Relationships are easily one of the hardest things to maintain but so worth the effort. Happy Anniversary!!! I love that quote about marriage it is so true!!! And you are right, no one is perfect so how can we expect a relationship to be. I always say that at the end of the day as long as you still love the person....even if you want to kill them....then you are doing alright. Haha! You guys enjoy the rest of your trip! Amen. I love this post, Steph! Happy Anniversary!!! Great post. Truthful, honest, and full of love and encouragement. Happy anniversary to you both!!! Happy anniversary!!! Love your perspective and couldn't agree more!! Enjoy the rest of your trip - you guys are a great team! Happy Anniversary to you both! 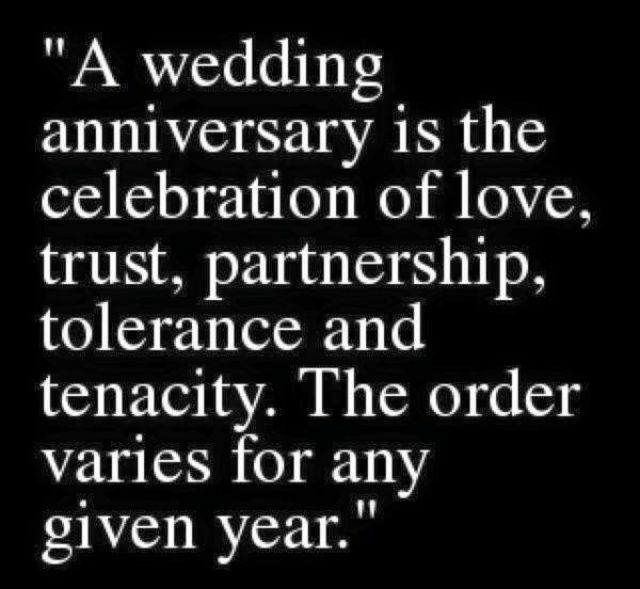 Here's to many more happy years! It's so neat how long you've known each other, been friends, etc. The best relationships are often like that I feel like. So much love and fun here and I'm super happy for you. Happy anniversary! I just love this. Happy anniversary, Steph and MFD. 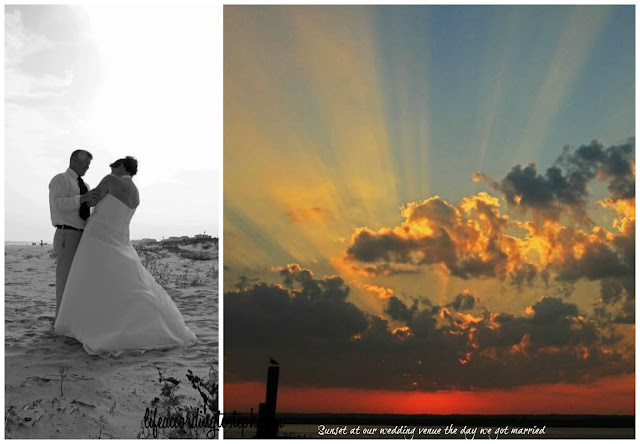 Wishing you a lifetime more of love and adventure. Cheers to you both! This made me tear up, and I'm going to blame it on hormones at this particular time of the month. This pretty much makes me even more excited to get married. The thought of potentially dragging Leland on a 10 day road trip to celebrate our 5th wedding anniversary makes me giddy with excitement! I'm a little late posting this, but better late than never: Happy Anniversary! This is one of the best anniversary posts I've ever read. I love the honesty. Relationships require so much effort, and I wish more people realized this (especially going into a marriage). I have friends who just completely felt defeated when their marriage wasn't a perfect "happily ever after" fairytale. But ... That's not real life. There are definitely the beautiful, special, magical moments in any relationship, but there are also the arguments, disappointments, and hard times. I think the true definition of real, lasting love can be summed up with one of your statements in this post: "Every time that was good and every time that was bad over the past 13 years together, we chose to stay in the car. We're still on the road." I hope you two have many more wonderful years together in that car, traveling that road together. Happy anniversary! This was perfect. So sweet!! Happy Anniversary!! I love the quote.